The first day of the Midlands was filled with action and plenty of interesting results. I don't know if it's just me, but the field seems deeper and more interesting this year (minus David Taylor wrestling for the school of Magical Studies). Thanks to everyone who sent in picks! It's great to interact with everyone. Tommy (myself) is shockingly leading with 19 of the 20 possible finalists still alive. Only Pete Renda has disappointed me thus far. After that, SDMeyers & Mark (from the comments) along with Brian Payne have 18 finalists left. Of course, the semis and finals determine this thing so almost everyone is still in. Kevin is trailing having Earl Hall (Iowa State), Johnny Sebastian (Northwestern), and Renda falling while his whole 197 picks of Harner (Princeton) & LeFever (Wabash) go up in smoke. Maybe he'll make a late charge though to make me buy him beer. 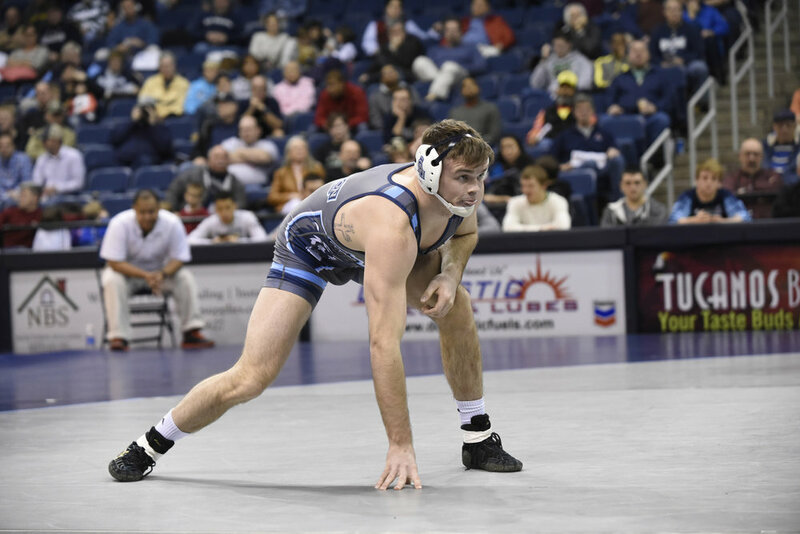 Old Dominion is happy after Beazley and Dechow picked up big quarterfinal wins.